Just two days after the 60th Annual Grammy Awards®, the Recording Academy™, AEG Ehrlich Ventures, and CBS will celebrate the legendary career of five-time Grammy winner and 2000 MusiCares' Person of the Year honoree Elton John by presenting "Elton John: I'm Still Standing-A Grammy Salute." The live concert taping will be held Tuesday, Jan. 30, 2018, at 8 p.m. ET at The Theater At Madison Square Garden in New York. The special will be broadcast later in 2018 on the CBS Television Network. Grammy nominee Miley Cyrus, current Grammy nominee Kesha, two-time Grammy winner and current nominee Miranda Lambert, 10-time Grammy winner John Legend, two-time Grammy winners and current nominees Little Big Town, seven-time Grammy winner Chris Martin, Grammy winner and current nominee Maren Morris, four-time Grammy winner Sam Smith, and four-time Grammy winner Keith Urban will pay tribute to Elton, who will also take the stage to perform a selection of hits from his highly acclaimed discography. Additional performers will be announced in the coming weeks. 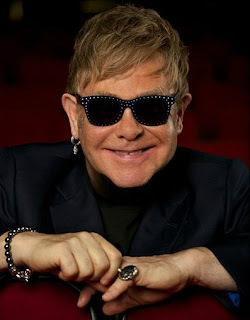 "Sir Elton John is an international music legend who has captivated audiences across generations for more than five decades," said Neil Portnow, President/CEO of the Recording Academy. "His creativity, dynamic presence, and melodic virtuosity have positioned him as a cultural icon, and the Recording Academy is pleased to honor his immeasurable contributions to the music community." "Elton John is an undeniable force within the music industry, and I can't think of a better musician to honor at this special Grammy Salute," said Ken Ehrlich, executive producer of AEG Ehrlich Ventures. "We're proud to pay tribute to his artistry, and can't wait to see what the participating musicians have in store for this momentous celebration of Elton's work." "Elton John: I'm Still Standing-A Grammy Salute" continues the tradition of previous Emmy®-winning TV specials presented by the Recording Academy, AEG Ehrlich Ventures, and CBS: "Sinatra 100—An All-Star Grammy Concert." "Stevie Wonder: Songs In The Key Of Life—An All-Star Grammy Salute," and "The Beatles: The Night That Changed America—A Grammy Salute." "Elton John: I'm Still Standing-A Grammy Salute" is produced by AEG Ehrlich Ventures, LLC. Ehrlich and Rac Clark are the executive producers, Ron Basile is the producer, and David Wild is the writer.